Nick Bracco is an agent with the FBI. He has been an agent in very good standing for over a decade, first in the more traditional law enforcement section and later in the anti-terrorism branch. During that time he has earned several times over a reputation for a man who gets the job done, fairly and as cleanly as possible. Prior to that service, he had worked for a time in the rough streets of Baltimore as a cop. 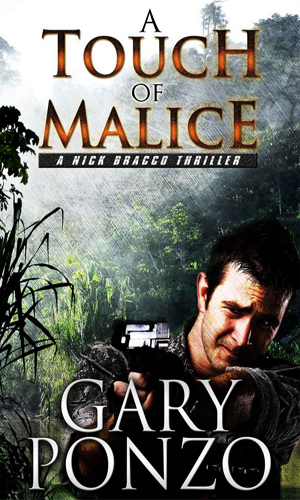 For most of the ten years as a Federal agent, Bracco has been partnered with a former FBI sniper, Matt McColm, a man who saved the young agent's life when they first met and became best friends with him. In the years since, the favor has been returned and reearned numerous times. They have been through so much together that they can often finish each other's sentences and the repartee can be amusing. Now in his very late 30's or early 40's, Bracco knows that his days of field work, especially the demanding and dangerous job of fighting terrorism, has to be nearing their end. He is reminded of that by his beautiful and resourceful wife, Julia, a woman who is listening to her biological clock and wanting her husband to be a man she is reasonably confident will come home alive each night. One aspect of Bracco's life, and the item that makes the series particularly interesting, is Bracco's lineage. While it is not clear if his father was part of the Mob, it is certain that other members of the family were. Most important of these is Bracco's close cousin and friend, Tommy. The two, plus a neighborhood pal nicknamed Silk, were inseparable during their teens and the bond remains. While Tommy remained in the "business" and became someone not to be trifled with or ignored, Nick went the other direction. Thus far their paths have not crossed officially and, though they have drifted apart some, the affection and respect remains. Tommy plays a vital role in the adventures chronicled in the books. Though never a partner like Matt, he comes to the aid of his cousin on several occasions and even brings along the occasional companion to help more. While Nick Bracco is usually a by-the-book, read-'em'-their-rights officer of the law, Tommy Bracco is not so restricted. When he is with Nick, Tommy makes sure he does not cross the line. Away from his FBI cousin, the line is never considered. Note: this series is currently available only in e-book format. A Kurd terrorist with a large team is killing innocents all over the U.S. to demand America stop helping Turkey against them. 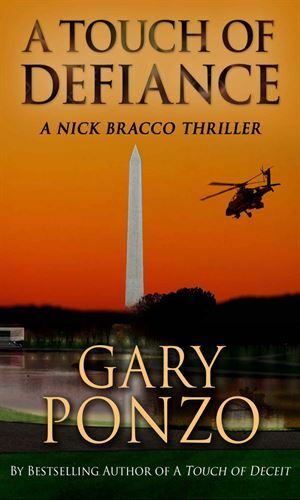 It is Nick Bracco's job to hunt him down and stop him, helped by his partner and helped by his cousin, Tommy. 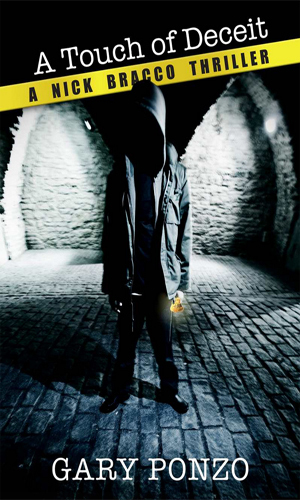 When his teammates on the anti-terror squad become victims of murder, Nick Bracco just find the man behind it and stop him. To do that he must ask for his cousin's help yet again. 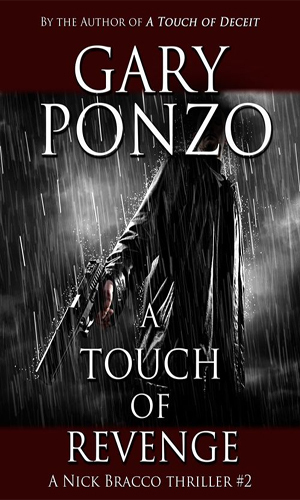 A fellow agent dies trying to stop a Mexican cartel assassin from bringing a dirty bomb into the U.S. Now Nick Bracco takes up the chase but with much of that area's police in the cartel's pocket, he needs help and that means talking to his cousin, Tommy. An anti-government group, the Civil Resistance Movement, is gaining in followers and causing a lot of trouble. Nick Bracco is tasked with stopping it and he knows to call in cousin Tommy for some help. Flight 12 is en route Rome from JFK when it suddenly disappears. Questions immediately come up. Engine failure? Hijacking? Nick Bracco is onboard at the time. 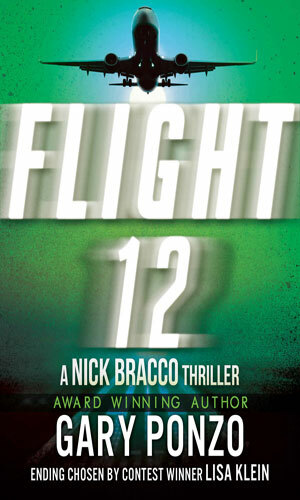 - This is the culmination of the Flight 12 series of novellas from different authors. This is a fun series. I say that up front and before I comment on anything remotely negative. I swallowed this series up quickly and enjoyed every bite and wanted more and was glad I at least had 3 helpings before it ran out. Now, it is not perfect and there are some rough edges. Characters who at times are gung-ho to go after the bad guys are later surprisingly hesitant and I think it is more to let the hero explain his actions than a change of mind. This makes the stories seem uneven at times. And the bad guys are too macho and too silly about it. That can get annoying. Those were the bad points, IMHO. The good points are, well, Tommy. Nick is a good and smart agent and his partner, Matt, is very resourceful and a good complement to Tommy though he does not really trust the cousin like Nick does. The supporting characters are interesting and help round out the story nicely. But it is Tommy I read eagerly to see enter the scene. He is delightfully NOT over the top. He is rather low-keyed in most cases. At times he almost seems like he is standing in the background. Then he disappears for a moment and reappears with a bad guy in tow. And he grins as he hands the baddie over, unless the baddie knows something Tommy wants to know in which case there is sometimes a slight delay getting a worse-for-wear baddie to come clean. Nick and Matt are good characters. IMHO, Tommy is a very good one. The hero of the series is definitely Nick Bracco. The action revolves around him and he deserves the center position.